I’m so excited to have another success story to share with you! 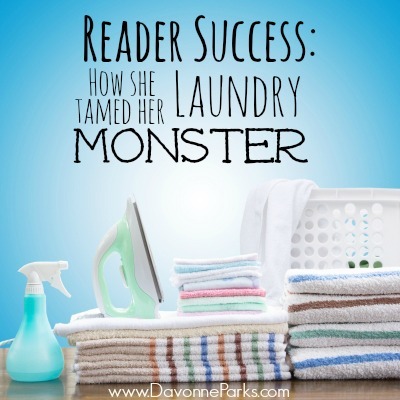 Anne e-mailed in about her laundry situation a couple of weeks ago, and after following some of the tips I suggested, she’s tamed her laundry monster! “I bought two $3 over-the-door hooks for the laundry room to hang wet washcloths and rags so that they’re not trying to dry wherever there’s room. I’m also keeping dirty laundry in the laundry room in stacked baskets instead of letting in creep all over the floor. 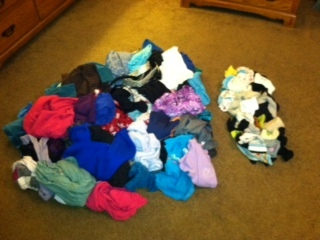 “I’ve made it a priority to do laundry before anything else after I put my daughter down for her nap. I have to make sure I bring her hamper out of her room beforehand so that I don’t have the excuse that I can’t get her clothes out of there. 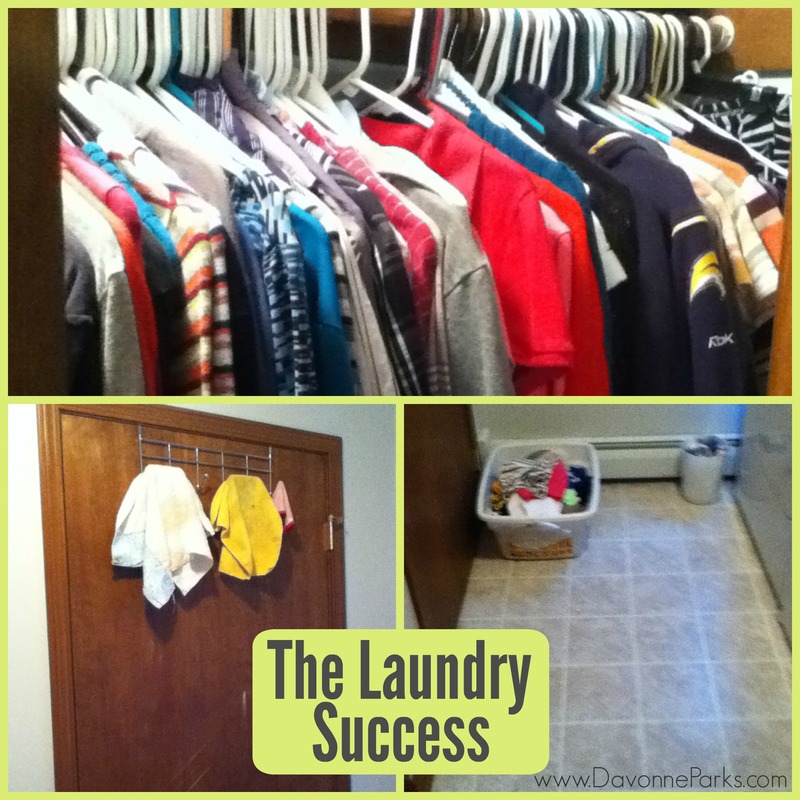 This has made a huge difference in the amount of dirty laundry around the home. Go here to see Anne’s questions, my tips, and a before photo.